Laptop body Fabrication and laptop repair have broken body is one of the best services and We offer the best rate and comparatively cheapest rate in Mumbai, we are well famous for the effectiveness and cost of the repair which we charge. We are just touring next door, Online Service or You can get Quote on your WhatsApp by just sending an image of the broken area on +919820625520. The laptop is made up of critical things and breakable objects, so it should be handled with care. But as due to our laziness or inattentively we make a mistake and its affect the whole system or you can say damaging the body of the laptop, but not to worry as Shanti Laptop Service is at your door, we make your laptop alike as new laptop, though it won’t be new, but it will be fabricated with our specialist and you can’t figure out the broken part of your laptop. 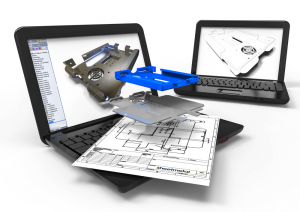 We are providing to our valuable customers a wide range of Fabrication of Laptop Bodies. Shanti Laptop Service Offering Best Fabrication Services which will be done with the best techniques. The collection of laptop casing & body is available in various attractive designs and styles. There is a high demand in the market. Laptop Screen Replacement Cost:- 3000 INR. Laptop Body Fabrication | Laptop Hyngies Broken | Laptop Broken Body | Laptop Top & Base Broken | Laptop Fabrication Costs | Laptop Repairs.